A logical, data-driven, no-nonsense answer to this evergreen question. A rooftop solar installation in Bangalore, India. Over the last five years, there has been an exponential growth in discussions surrounding solar energy and its feasibility. With the technology, products, and infrastructure becoming more accessible to the layman, there is one question seems to deter its rapid scalability. Are solar panels really a source clean and sustainable energy? We attempt to answer that question in this article. Once you set up a solar power plant it converts sunlight into electrical energy. This form of energy is clean, that is, free of harmful by-products. But, what about the energy being consumed in the production of these solar plant components? What about the carbon footprint due to the manufacturing of these panels? In short, are solar panels net producers or net consumers? Let’s break that down for you. Manufacturing of solar panels is an energy-intensive process. But there’s good news. These solar cells generate enough electricity to pay back the energy invested in their production. So, is financial payback the same as energy payback? No. 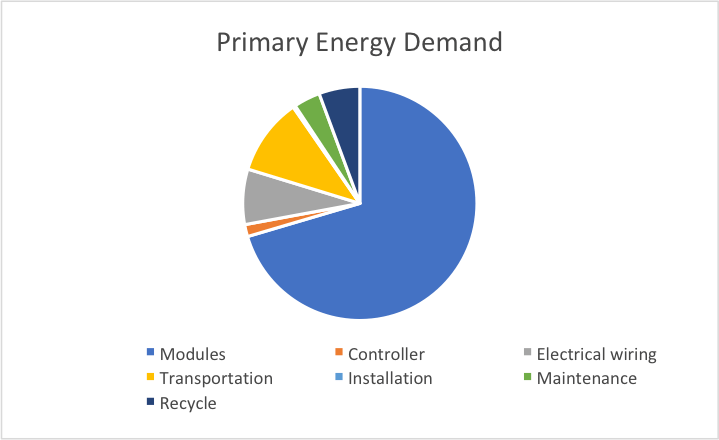 Energy payback is the time required for the solar panels to generate enough energy to offset the energy used in its production, transport, and recycling. Let’s cover the basics of how solar panels are manufactured. Solar energy can be generated from various technologies such as Silicon (Monocrystalline, Polycrystalline, Ribbon), Cadmium Telluride, and more. The most commonly used material is Silicon. It all begins with the extraction of quartz from mines. This needs to be refined to obtain pure silicon which consumes a lot of energy, usually from non-conventional sources like coal or fossil fuel, which powers the melting process that requires the arc furnace to fire up to a temperature over 2000 degree Fahrenheit. 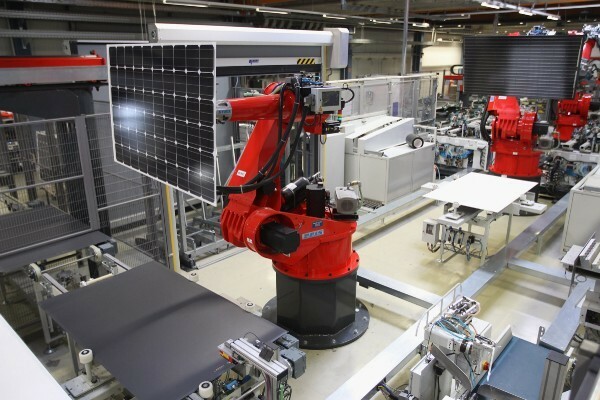 Not to forget solar module manufacturing is a highly automated process that requires more energy for its execution. Solar cells alone do not constitute in creating a solar panel. Aluminium frames, ethylene vinyl acetate (EVA), wires, and the glass sheet are important components as well. Apart from manufacturing the components, energy is expended for obtaining raw materials, processing, testing, packing, transportation, and installation of solar panels. Here’s an overall picture of the energy consumption. The energy required to produce 2 square meters of Silicon module (72 individual cells of 125 cm X 125 cm) — the most commonly used product for solar energy systems in India. Approximate Energy invested in manufacturing one solar module. Recycling processes of solar panels have taken a backseat, given the lifespan of the product is 25 years. However, the regulations and technology related to the recycling of solar panels will see a huge shift in the coming years. Today, it is mandatory in certain countries to recycle a minimum of 98% of the solar panel components. Almost 90% of the glass and the aluminium frames can be reused. On the other hand, under high temperature the EVA evaporates, leaving behind silicon cells that can be used in forming new silicon-based solar energy modules. Now let’s consider a 5 kWp solar energy system — the most common size for a residential installation. 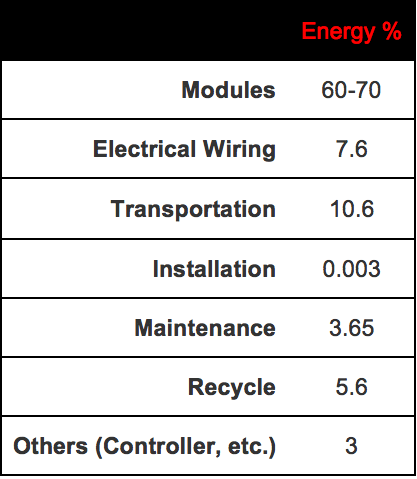 The energy required for Silicon modules is 10022.73 kWh. The energy required for Electrical wiring is 1087.44 kWh. The energy required for Transportation is 1512 kWh. The energy required for installation and operation is 567.36 kWh. The energy required for recycling is 803.76 kWh. Therefore, the total primary energy demand is 14230.65 kWh. Does it seem like solar panels are not worth it? Keep reading, and we assure you that it will change your opinion. Energy generated by the solar panels. The energy payback period is 2.5 years for a 5 kWh solar energy plant. Thus, it has the capacity to generate net clean energy for the next 22.5 years. Depending on the technology used and the size of the solar energy plant, it takes 1 to 5 years for solar panels to break even. Also, in order to accurately calculate the energy consumption, the kind of technology used, the manufacturing process and the location are parameters that must not be discounted. For instance, monocrystalline modules have high energy harvesting scheme whereas they have the longest energy payback period due to the high energy requirement during manufacturing of panels. Whereas polycrystalline solar panels have shorter energy payback periods in comparison. What about the pollution from the manufacturing process? Apart from primary energy demand, manufacturing and recycling of solar panels may result in the emission of greenhouse gases (GHG). But, the GHG lifecycle for solar energy modules is much shorter than that of a conventional fossil fuel. Combustion of conventional fuel results in the emission of heavy pollutants. In contrast, the renewable energy in case of solar causes no pollution after installation. Solar energy is clearly a better choice. 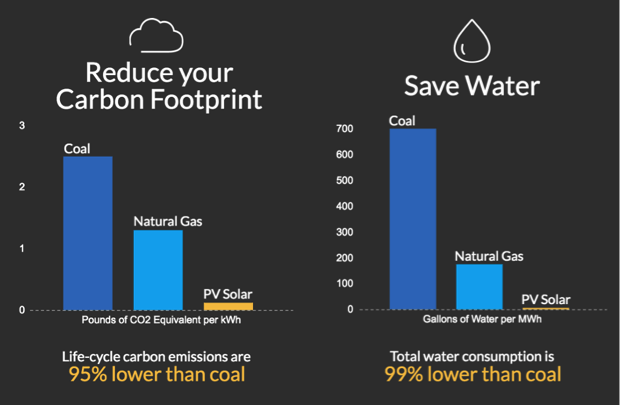 After the initial energy payback period, solar panels generate carbon-free energy without consuming any for 20 to 25 years with proper maintenance and cleaning of the panels. As green energy technology is emerging across the world, manufacturing companies have started adopting solar energy for all their production lines, making them self-sufficient. Solar modules from these factories possess the potential to have zero GHG emission and zero negative environmental impact. Well, that sure sounds like implementing Solar energy is a key solution for a sustainable future. Answers you won’t find on Google. Feel free to get in touch with us if you have any queries or doubts regarding what we have said here. Scroll down for references. > Get in touch on WhatsApp by clicking here or on 9742454443, where you can freely address your queries. > Our team of experts make it simple, reliable, and profitable for you to go Solar. How is a solar module made?